Console versions release dates still up in the air. During the 1920's, coming by alcohol legally was difficult enough, let alone trying to fight off hordes of zombified creatures. Epic indie title Guns, Gore & Cannoli has finally received an official release date for Steam/Mac and will be available very soon! Mark your calendars for April 30th, as we have a special co-op title that we've been interested in since it was greenlit on Steam last September. 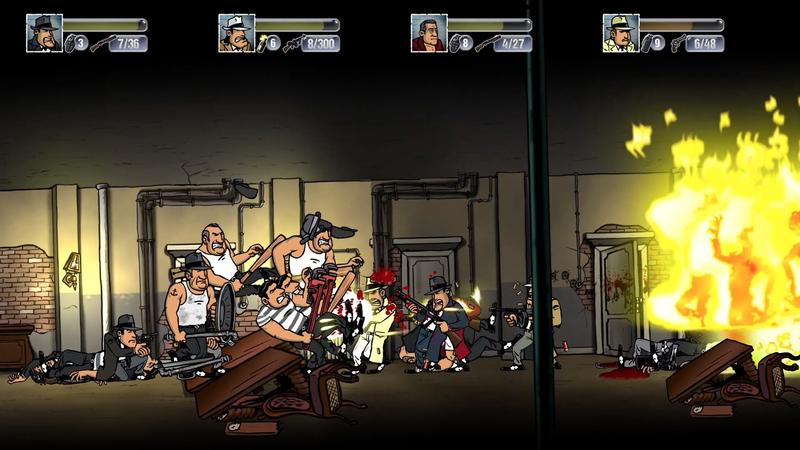 Guns, Gore & Cannoli is a set in the 1920's Prohibition era, were mobster Vinnie Cannoli faces many enemies on the streets of New York: rival gangs, city folk, and even zombies. 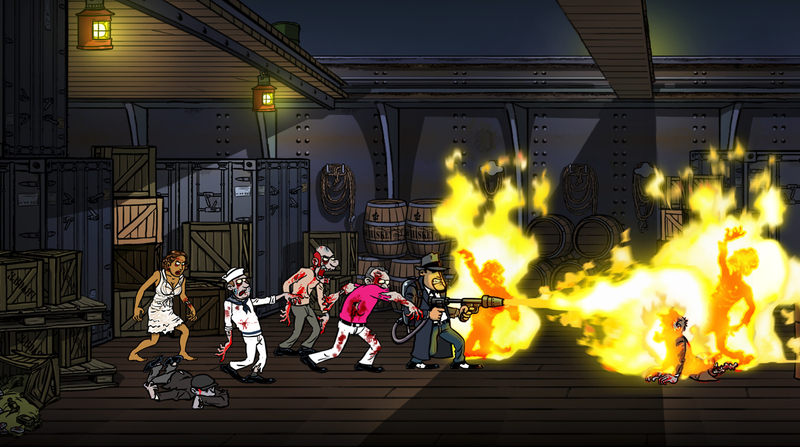 Yes, zombies have surfaced within this bloody, city-wide turf war! It's up to Vinnie and his partners in crime to survive this epic conflict and grab a few Italian dishes while they're at it. While we do know about the PC and Mac verisons, the PS4, Xbox One, and Wii U versions still need their release dates. However, Crazy Monkey has stated that they are to arrive sometime in 2015. We'll keep you all posted!